Now this is pretty cool actually. If you’re like me then you probably subscribe to a number of different “loot based services” such as Nerdblock and Arcadeblock, just to name a few. And we do this so we don’t miss out of specific items that are supposed to be in a specific box, but in the long run we end up with stuff that we typically aren’t excited about or just don’t care. However if you’re a member of any of Nerdblock subscriptions, then things are going to be changing for the better and cheaper! 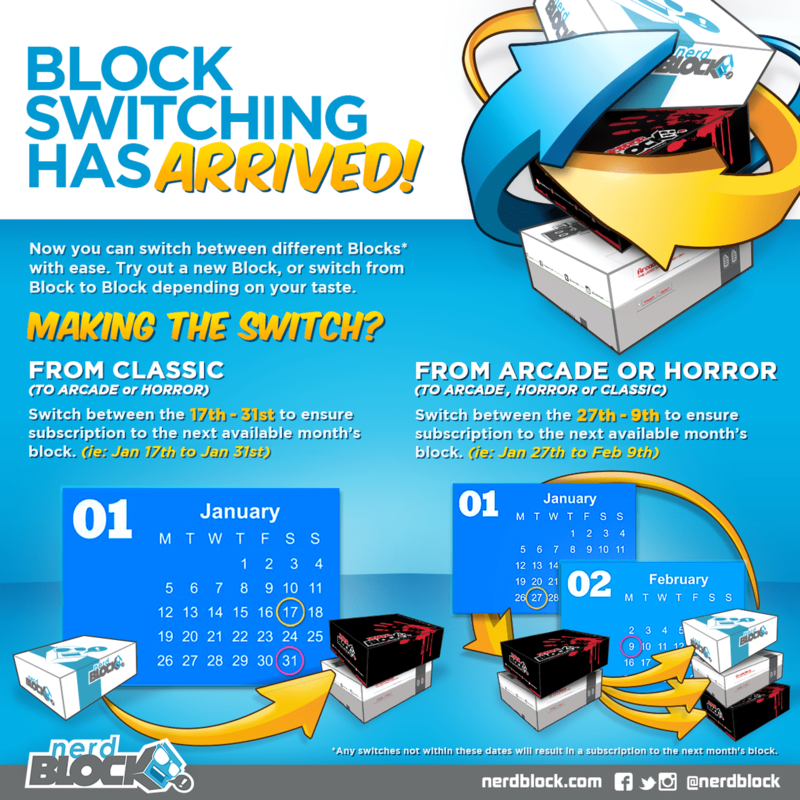 Announced today, Nerdblock has introduced a service that will allow you to switch better their “blocks”. Got a Nerdblock but you want try out the Arcadeblock or Horrorblock? Well with the new service then you’ll be able to switch and get your must wanted block. The process is pretty simple as well. 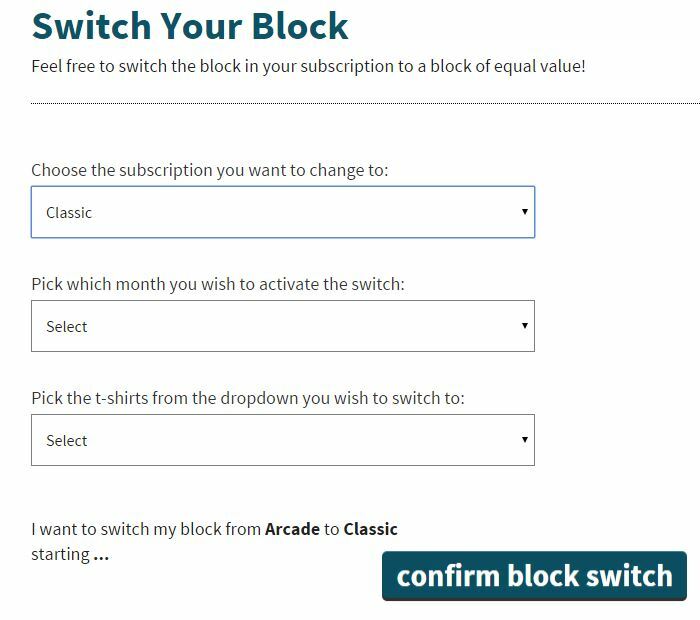 You just log into your Nerdblock account, click on the subscription you want to change and then you’ll see an option to switch blocks. There you’ll be able to switch the block type, with month you want to start switching and you can either start it now or set it 6 months out and you’ll also be able to change your t-shirt size as well. After that you just hit confirm and that’s it, you’ve changed your block. The option to switch is now live, so go check it out and make the change “should it please you”.